Click may not occur at the actuation point, which is a con, but the switches feel both smooth yet light and crisp. The clicking sounds a bit rattly though. 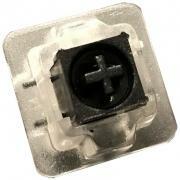 Have experience using Hall Effect Clicky switches? Add a review to share your knowledge with the keyboard community.